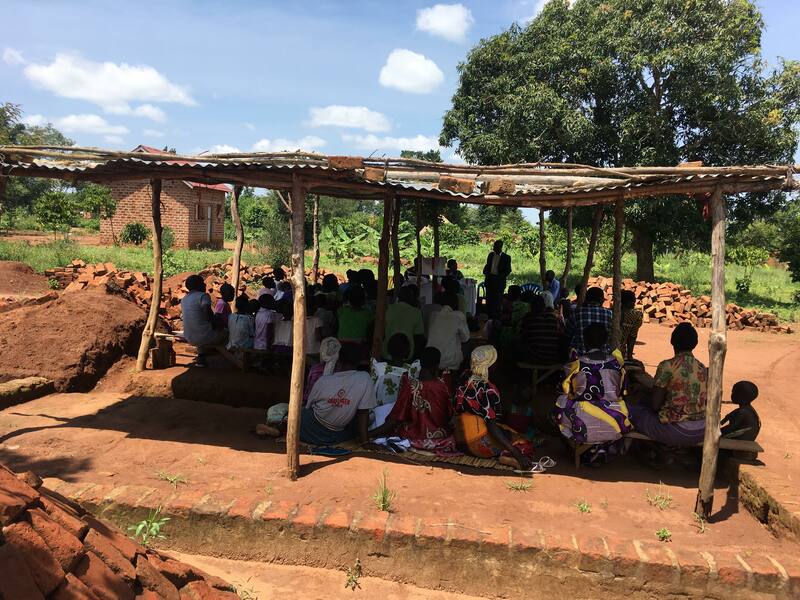 As you know, one of our goals in 2018 is to reach out to the local village churches on a monthly basis – visting them, encouraging the pastors and beleivers, and continuing to build up these “baby” village churches. Support for buying some land on which to build a church structure. Currently the church building (in photo) is being rented. If you would like to donate toward land for the church structure, please do so! Lack of a school for the children. 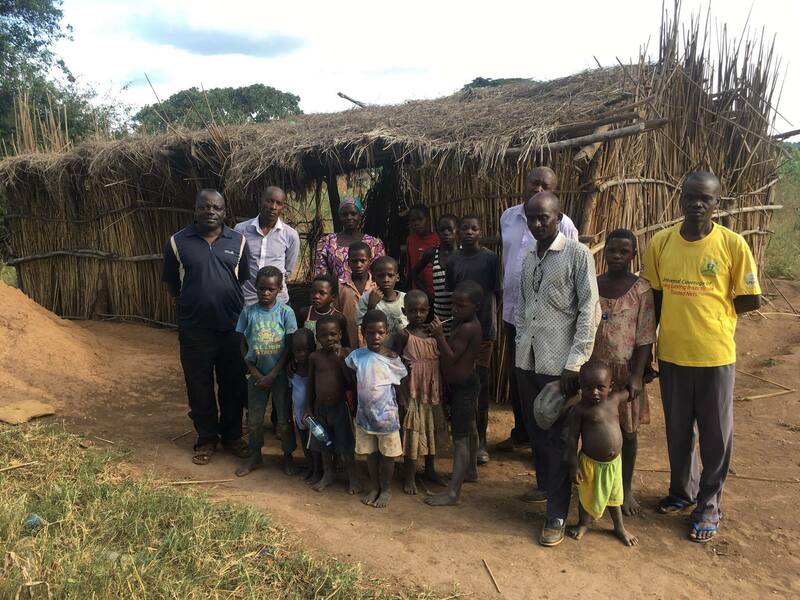 The community has no school for the children, so Lord willing CTM will be visiting this church several times this year to provide teaching and training to the families that are part of this village. The Sinini church has also been in existence about 1 year, and has now grown to about 70 members. 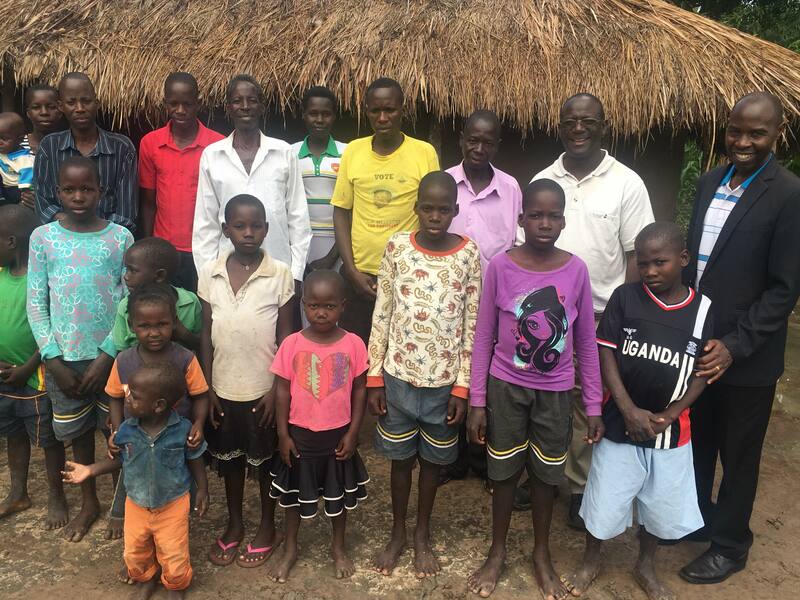 Pastor Daniel Gwaku leads this small church, and takes care of a wife and 10 children as well! 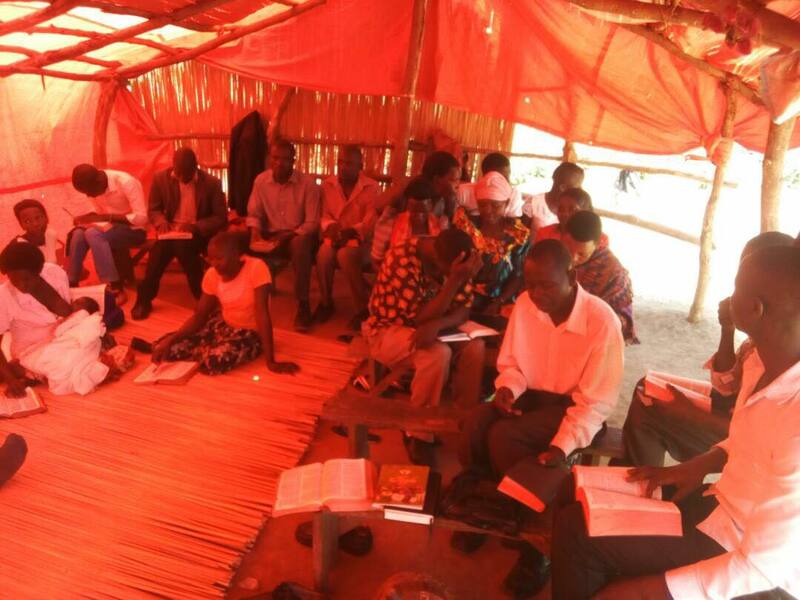 Funds for bibles – currently the church has about 50 bibles in the local language, and the flock numbers about 70. So we need more bibles. A community school – like so many other communities, the people have no local school for the children. And so CTM will of course provide some training and teaching during our next outreach here. Medical help – as there is no local clinic, CTM will plan to provide medical treatment during our next outreach to this village. You can help by providing funds for medical supplies! Church land – the church is using rented facilities, so any help you can provide to buy land for a church building would be awesome. First, rermember to pray for the pastors and beleivers in the churches of Sinini and Bulondo. Pray for their needs specifically, and if you feel led, give whatever you can financially to these churches, to help address these needs. >> Go to Donate to make your secure, online donation,. You gift is tax deductible, and we will make sure your donation goes specifiically to meet the need you express when you make your donation. A Look Back at What You Helped Us Accomplish in 2017! 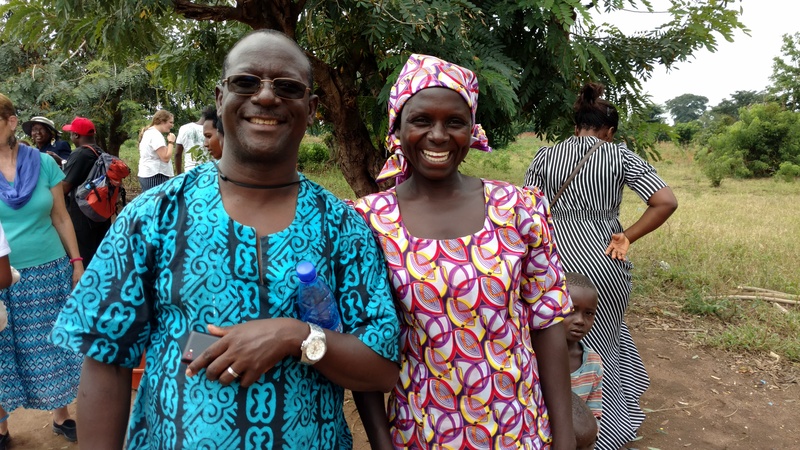 Together We Have Made a Huge Difference in the Lives of Thousands of Ugandan Villagers! 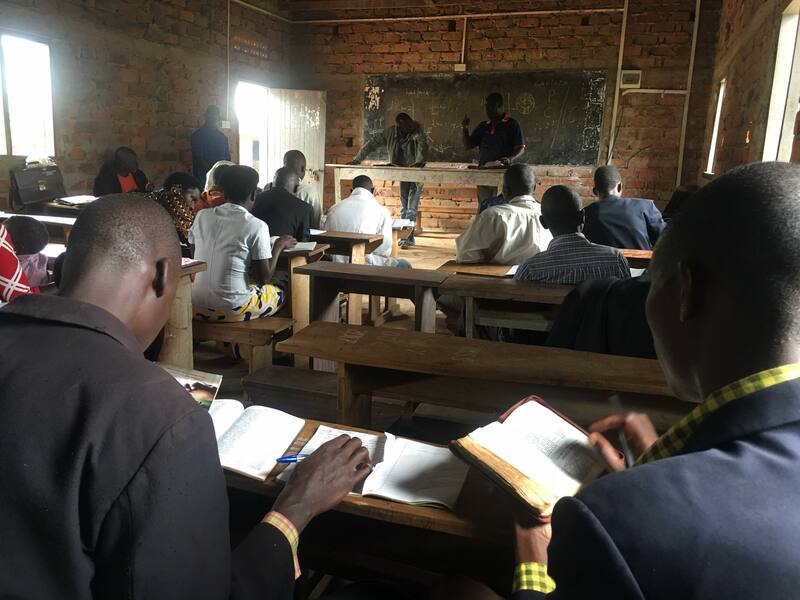 During our summer outreach, 12 new churches were planted in the back country of Uganda, where no church had existed, and the good news about Jesus was never heard! This brings the total number of churches planted by CTM to well over 100 during the last 5 years, with over 30 in the past 2 years alone. Because of your support, you have equipped us to carry the good news of the saving grace of Jesus Christ to thousands of villagers in Uganda. Truly your reward will be great in heaven! Thousands Accepted Christ to Begin a New Life! Christ into their lives. During the provision of medical treatment, 336 prayed to receive Christ. 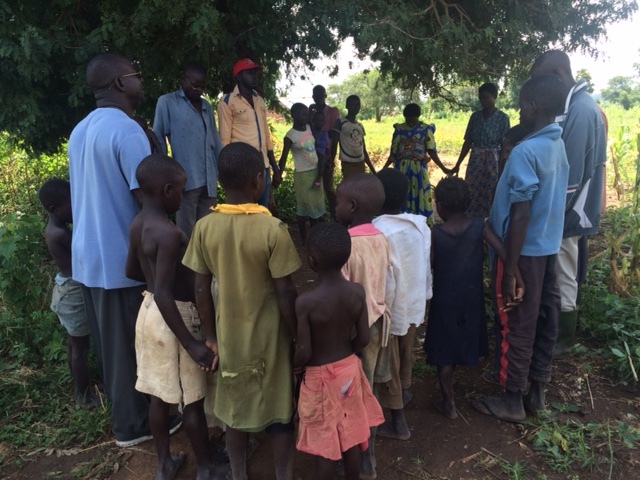 Our village teams ministered to the men, women and children during our village visits. 687 adults were shared with by the village teams, and 258 prayed to receive Christ (More men than women, which is unusual and wonderful). Of the 2,957 children ministered to, 1,379 prayed to receive Jesus into their lives. CTM provided 12 bicycles to pastors in small villages who had no other means of transportation. 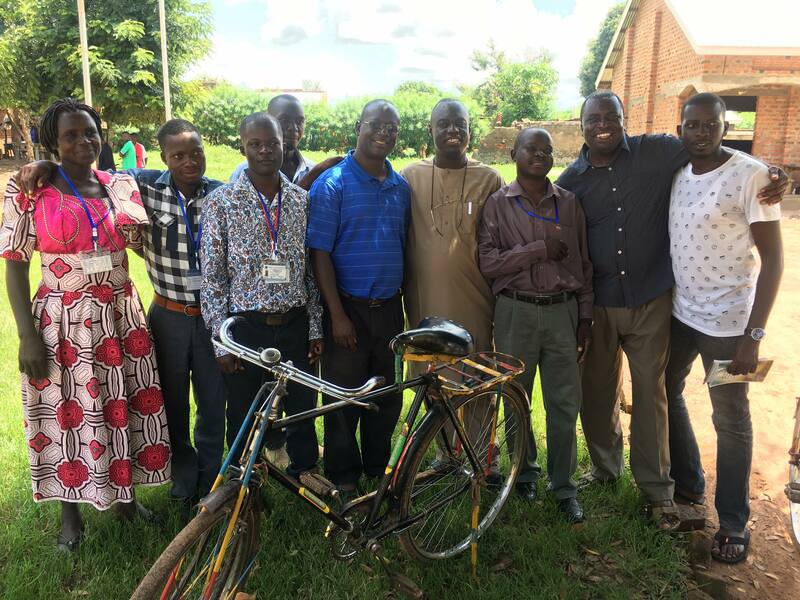 We also provided several motor scooters to pastors of larger villages, so they could more easily get around to visit their congregation, go for supplies, and be more effective in their ministry. 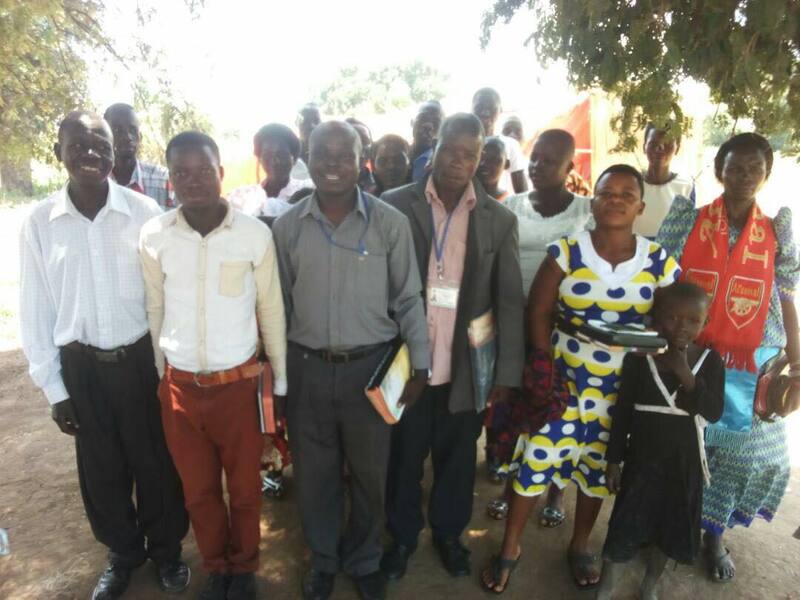 In the fall we were able to provide even more pastors with scooters, giving them a means to go for village supplies, and more effectively support their church. 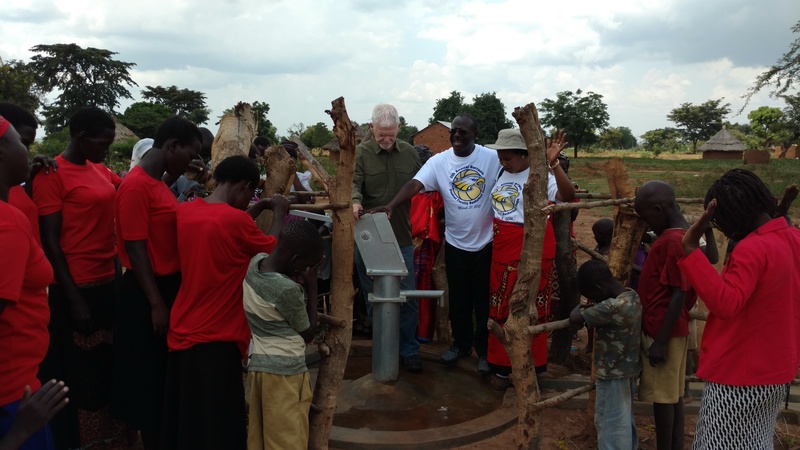 Because of your generous gifts to our water wells ministry, and our partnership with “A Way to Help”, we were able to dig two deep water wells for two of the larger communities – Nabigaga, and Kisanga. These wells were received with overwhelming joy, and the difference your have made in these communities is nothing less than astounding. There will be less sickness, disease and death because of what you have done! 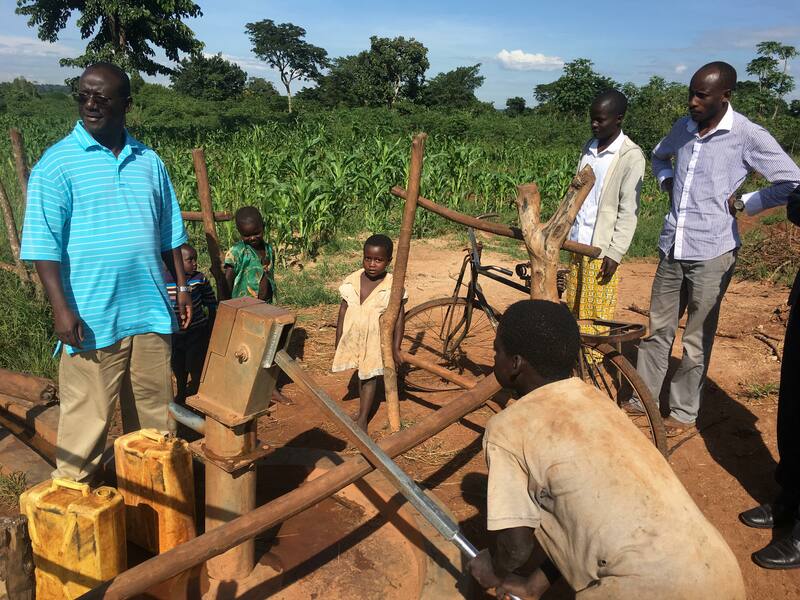 In 2018, we plan to continue our water borehole ministry, with plans for more boreholes that will provide fresh, clear water to hundreds of villagers in other communities. Medical Treatment Given to Thousands! Over 5,000 were treated by the Medical Teams during our TU III summer visit to villages. 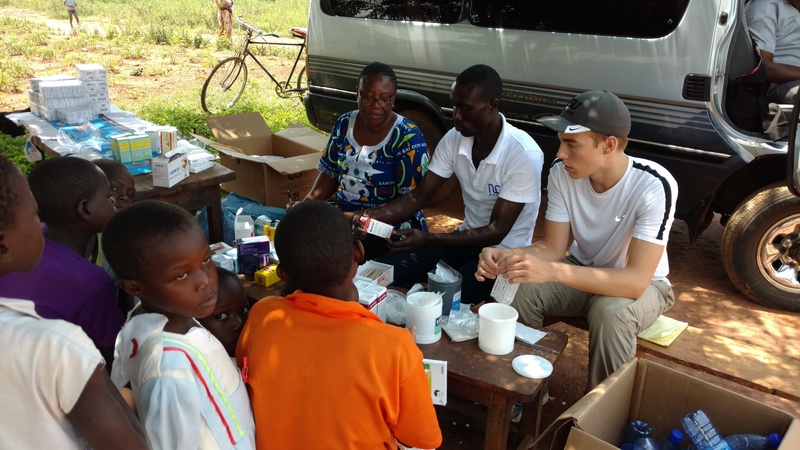 Those with malaria, yellow feve, typhoid, worms and many other ailments were examined by our doctors and nurses, and treated with medical supplies we were able to procure. Our medical team treated 5,620 men, women and chilkdren, and 336 prayed to receive Christ after their treatment!. 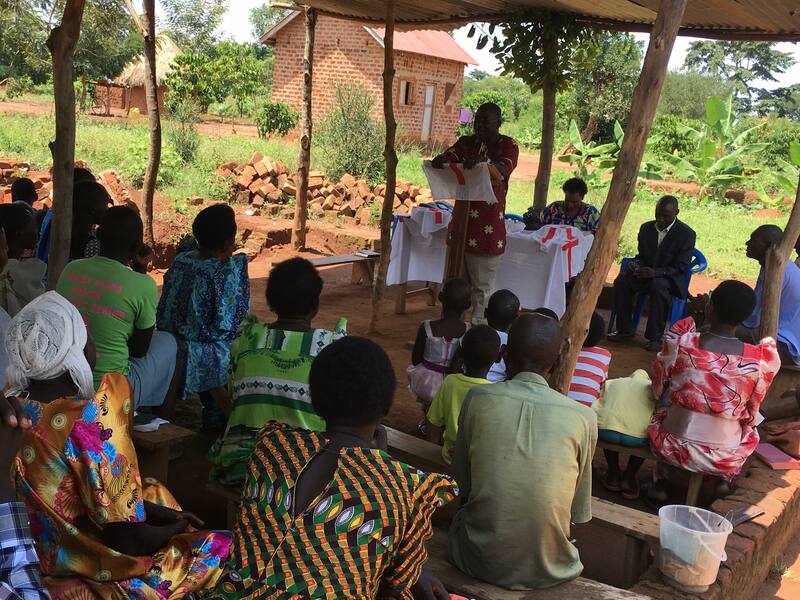 Teaching was also provided by te doctors and nurses on family planning, nutrition, and hygiene. saving Christ grace of our Lord Jesus Christ to hundreds of children across the villages we visited. 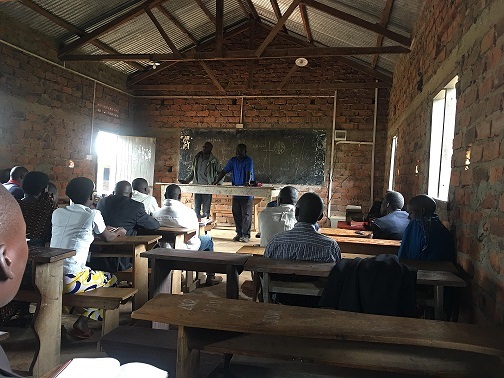 Many accepted Jesus into their hearts, including over 200 at a school near to one of the villages! 200 sets of clothing were distributed to small children during our visits to villages. In addition,70 sets of sandals were distributed in one village for small children. 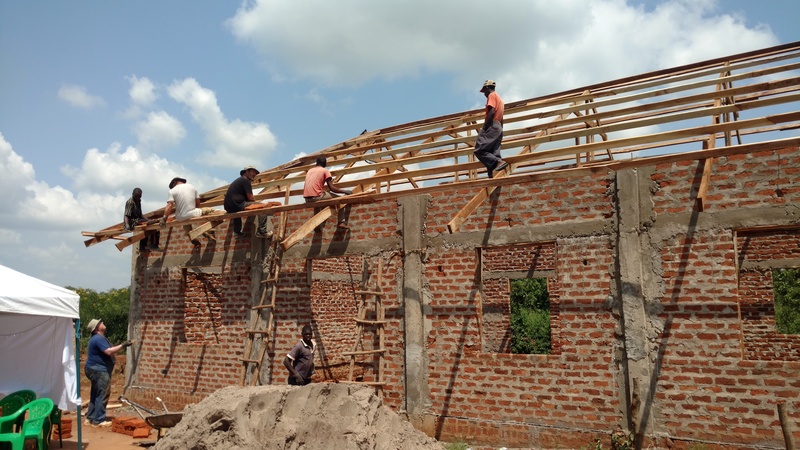 During TU III in July, our construction team finished the walls and the roof on the “anchor” church building at Nabigaga. The trusses and metal roofing were put in place, and the first church services were held. Preformed bible skits were performed each day by our team to tell big stories of God, and our Lord Jesus. 275 adults and children attend the plays, and 215 prayed to receive Christ. Our plan for 2018 is to complete a building for a second “anchor church in another region of the country. These larger structures allow the churches in the entire region to come together in praise and worship, for special events such as weddings, and to engages in training activities. 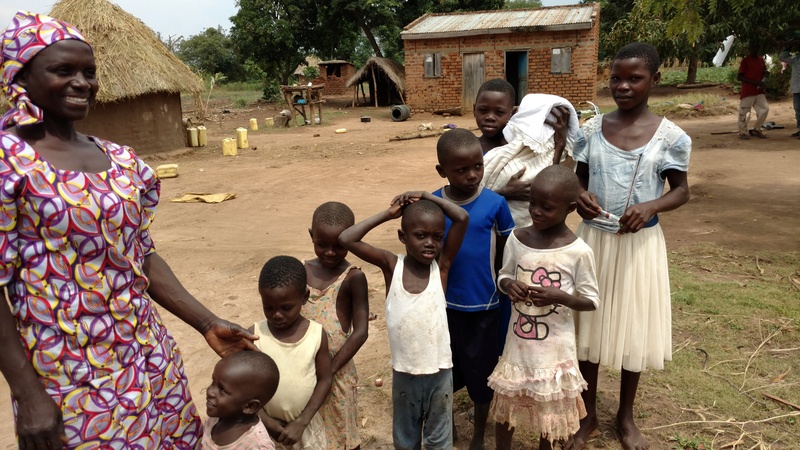 Learn more about the amazing impact CTM had to thousands of villagers in Ugamda by visiting our Transform Uganda web page. of Thousands of Ugandan Villagers! Roof on at Nabigaga Church, Bikes on the Way to Pastors! 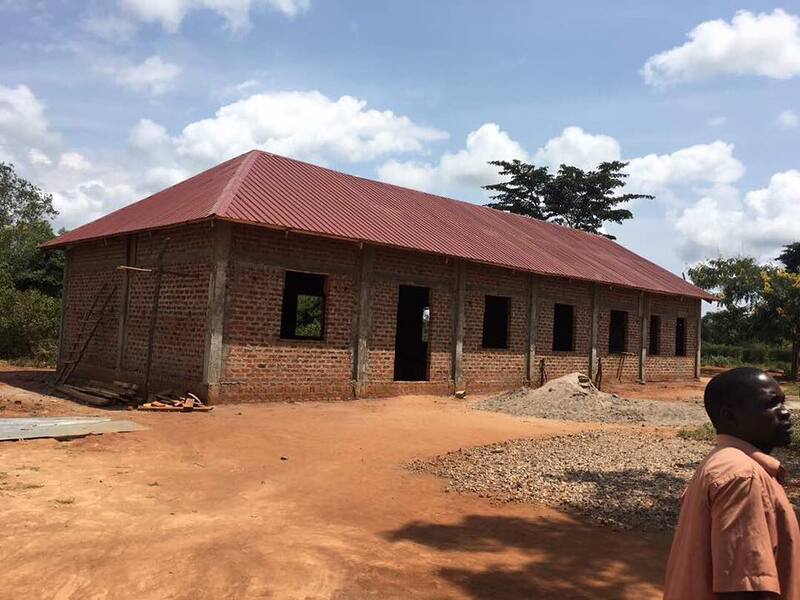 As you saw from our last post on Saturday, July 29, the roof was nearly completed on the church building at Nabigaga – but not quite. We held a wonderful wedding under tents next to the nearly completed structure, and Alex and Judith completed their vows. Monday July 31st the local CTM construction team pushed on and completed laying the metal roof on the trusses, finishing the building – the first “anchor” church in the region! 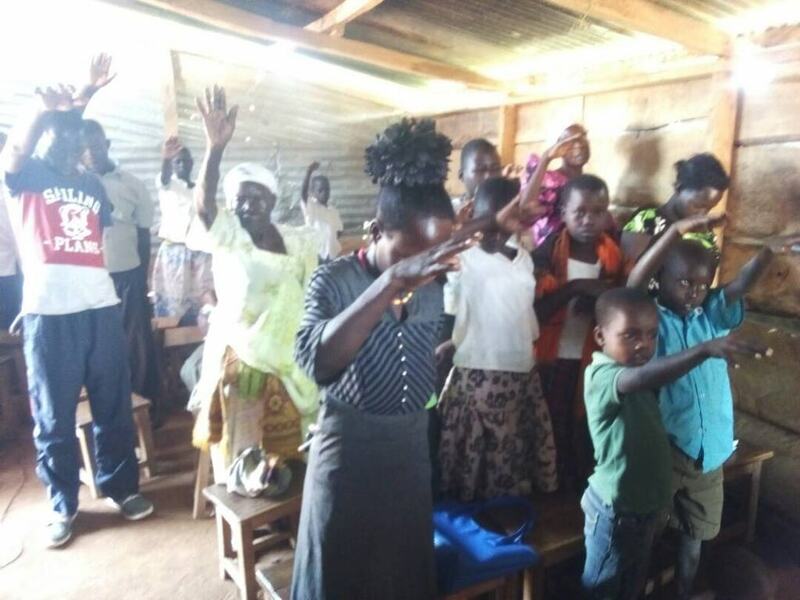 The first service was held with the church at Nabigaga members in attendance. Pastor Alex and Arthur were on had to dedicate the facility. 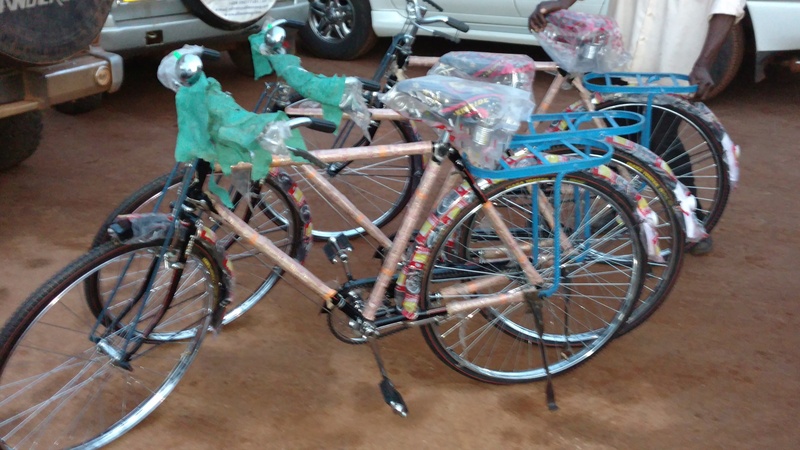 Remembers the 12 bicycles that we procured with funds from Transform Uganda III? The bikes were brought into the church, and prayed over that they might be a blessing to the pastors they were meant for. These bikes will go to pastors in the outback villages of Uganda where the usual mode of transportation is walking. Only a few have bicycles now, and very few a scooter. 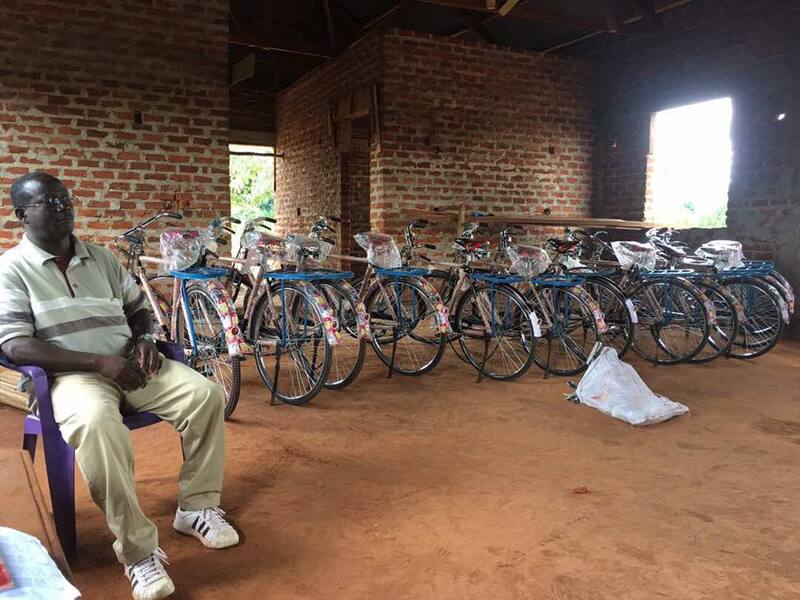 These bicycles will help those pastors get around their villages to visit the members, minister to their congregation, and encourage the people. Thank you to all of those who made this possible! 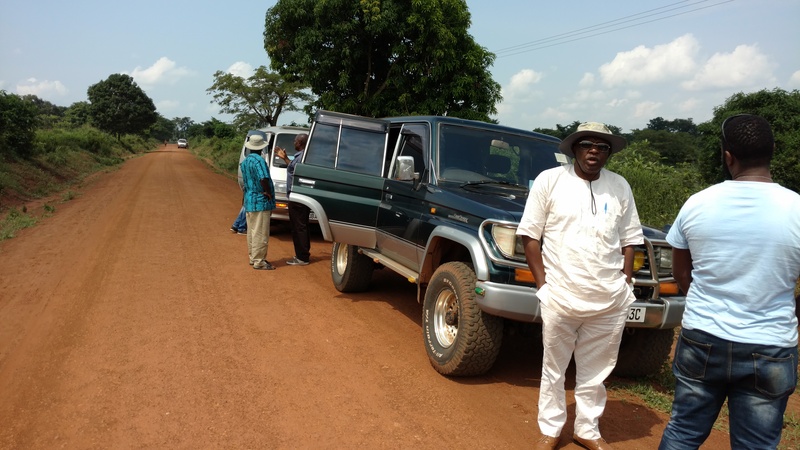 TU III – Post 3 – The Outreach Begins, Two Villages per Day! 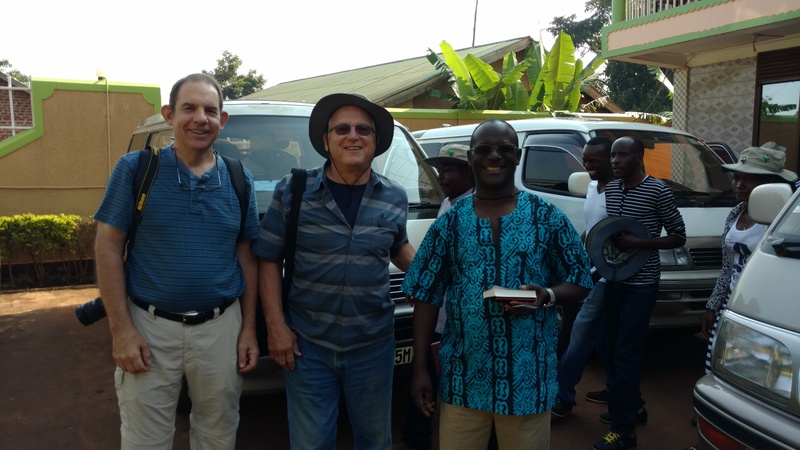 July 24th – Monday – Transform Uganda III begins! TU 3 officially starts. Teams gathered in the courtyard of our hotel, and boarded into small buses by team: Medical teams 1 and 2, Village Teams 1 and 2, and the Construction team. People were excited to be on their way to the villages, and looking forward to what God was going to do this day. 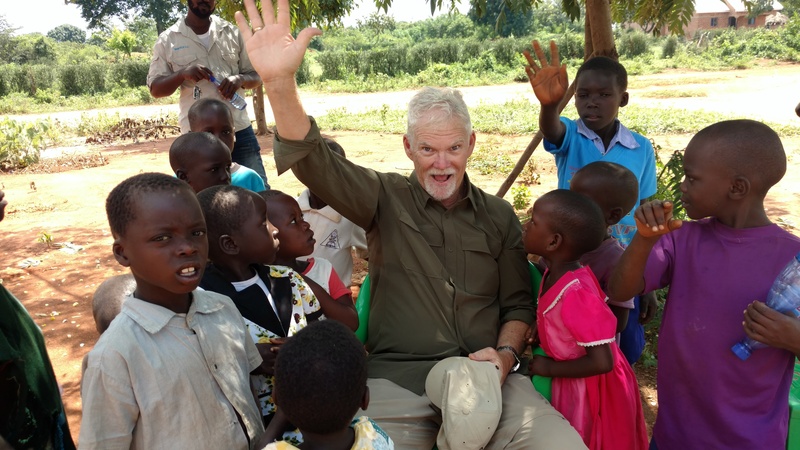 Our plan is to visit 12 villages, two per day, in the bush that had never heard the good news about Jesus, to share with them the gospel, and minister to their physical and social needs. 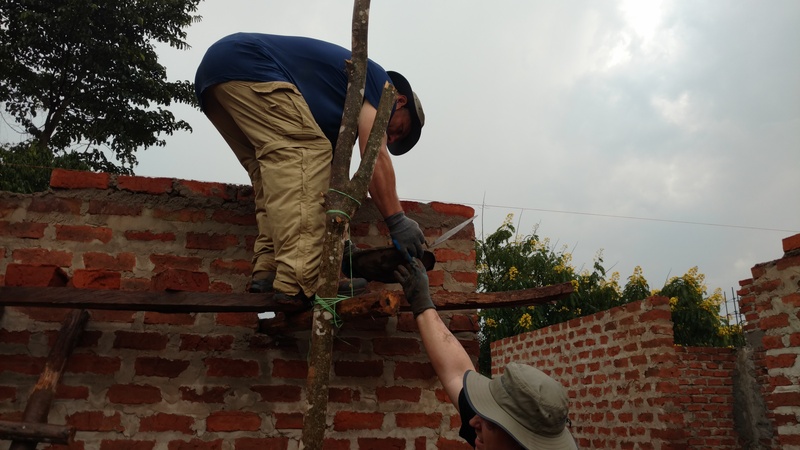 The Village Teams and Medical Teams will be in two villages simultaneously, while the Construction Team is working to finish the roof of one of the two “anchor churches”, located in Nabigaga. Two “mobile” teams will be circulating among the villages to oversee the work, head off any issues, and encourage the teams. 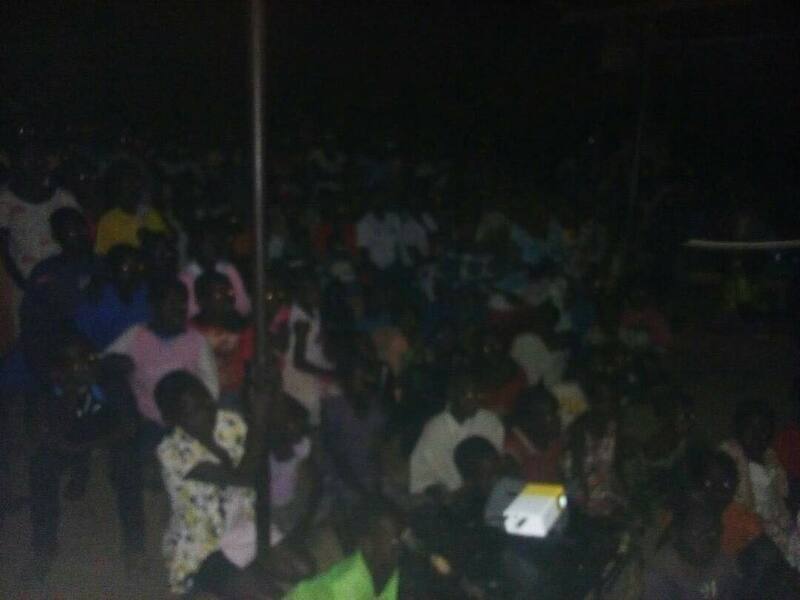 The schedule also includes preaching the good news in the evenings in each of the villages, along with a showing of the “Jesus Film”. 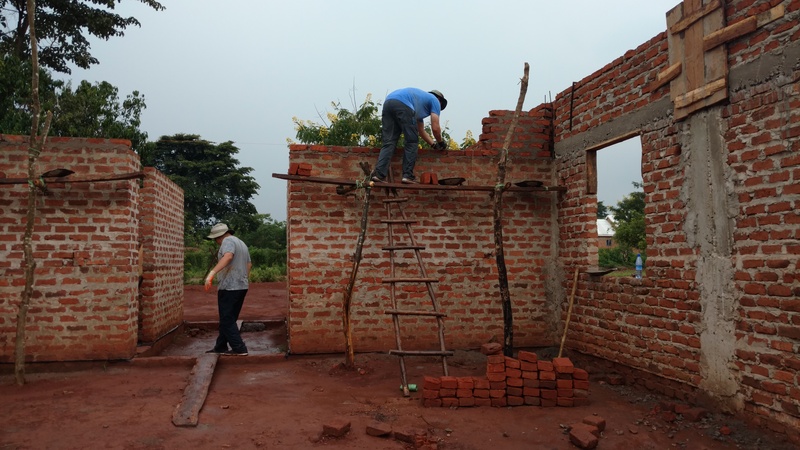 It’s important that we make good progress on finishing the church walls and the roof of the Nabigaga church building, as a wedding is planned for this coming Saturday July 29th – the pastor, Alex, is engaged to be married to his betrothed Judith this coming Saturday, and a big wedding celebration is planned! I met one of the translators for our team Mr.Johnson, who was just married and now taking part in this mission. 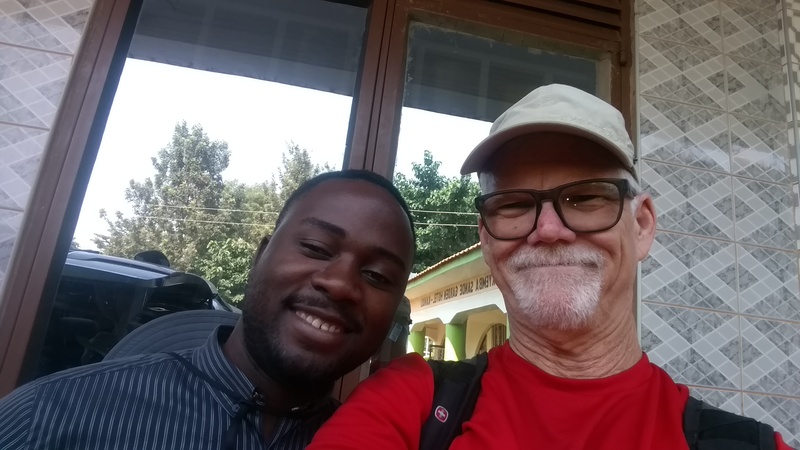 Also team member Malachi Kabaale, who happens to be an IT students, and a member of Calvary Chapel Busega , in Uganda. I traded some contact information with Malachi, and plan to keep in touch with him. Perhaps he can share our presentation on TU 3 results with his church! I was part of “Mobil Team 1”, comprised of Arthur Magezi (Exec. Director of CTM), Paul Slankard (eTeam Global), Nuhu Dauda (President of NLFA), and myself. Our mission is to visit each of the villages, oversee the mission and what is going on, we are here to encourage our teams as well. The first village we visited was Bukungu. The village is meeting in a temporary shelter, and is in need of land so they can build a permanent structure. 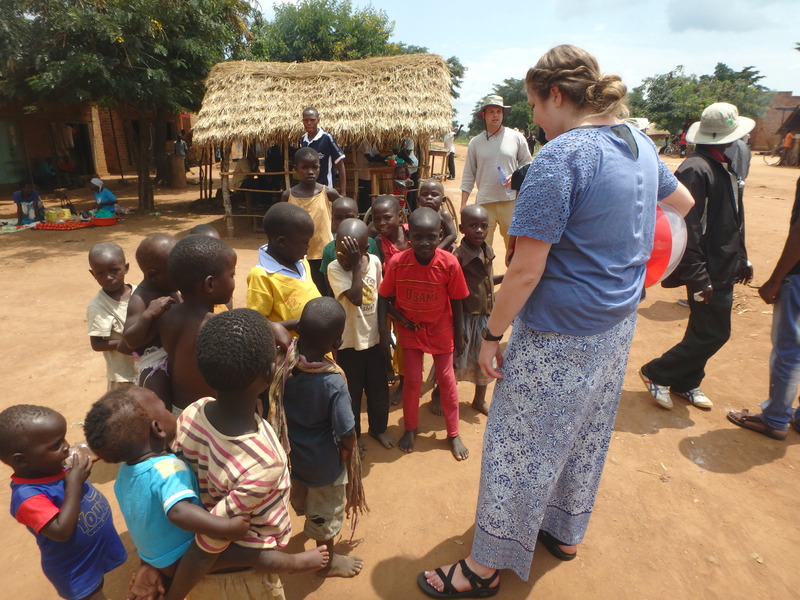 The Village Team was busy ministering to women and children while we were there. I was impacted by what they were sharing. 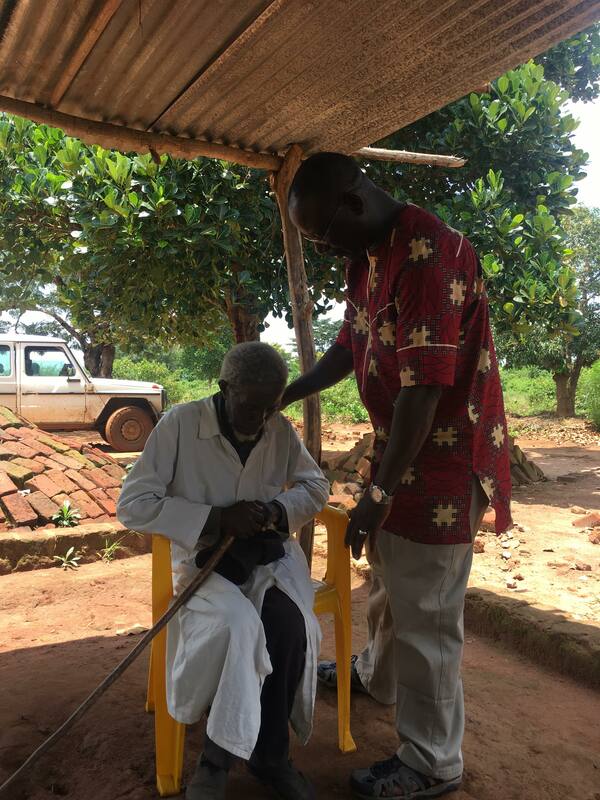 We made sure to visit the local village “chief” – the “LOC 1” – to ensure the he and his council were aware of our activities. Another village church we visited was lead by a woman by the name of Monica. 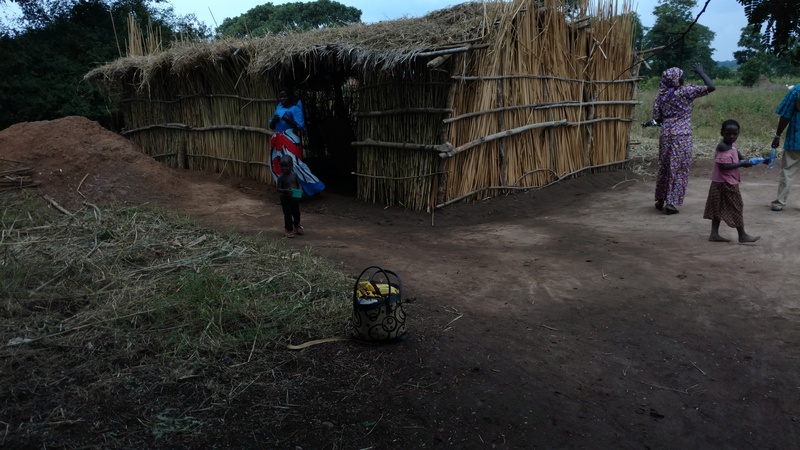 She was dressed in a colorful outfit, and showed us around the village and the modest grass shack church structure they worshipped in together. The church is about 30 people, but when they get together – what joy. Singing, drums, and music is lifted up to the Lord! God is doing an amazing work here through Monica, who is the mother of 9 children to boot! We left the medical team and village team to minister to the village menu, women and children, and went on our way. On the way to another village we noticed some school boys dragging a young girl by the arms and legs, as though they were in a fight. She was struggling, so we slowed down and asked the boys to stop harassing her – we then proceed on. Little did we know that the Village Team that was following us assessed the situation differently. We later found out that they stopped, because they sensed that this girl had been possessed with an evil spirit! Arthur’s wife, Esther was certain that what was going on was unusual. She wanted to know what was truly happening. The team decided to get out of their car. 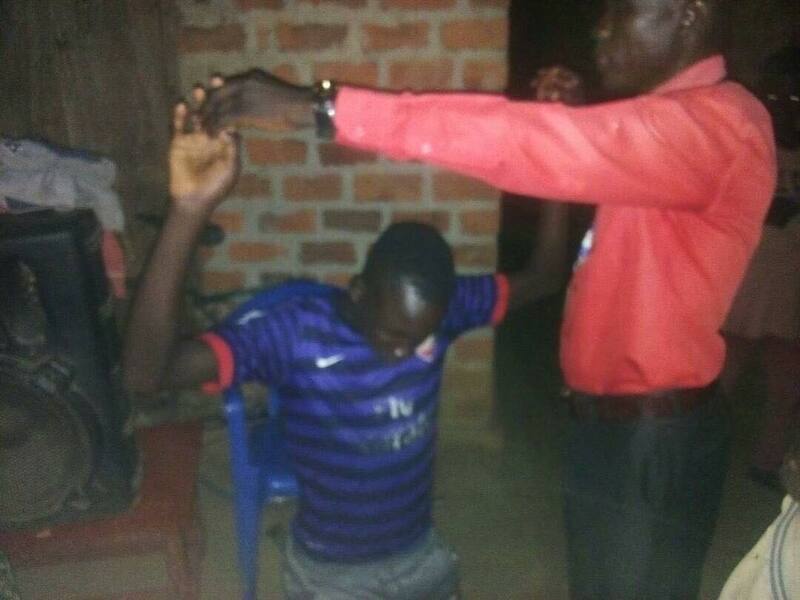 They soon realized they needed to begin praying with their team for this girl, they called out in the name of Jesus for this evil spirit to set her free and release her from its demonic oppression. After the evil spirit left her, the boys took her back to the school and left her with the headmaster. Later that evening, while speaking about what had happened earlier that day, this gentleman Nuhu Douda advised us that he felt that there were other demonic activities that were going on and maybe others were experiencing evil spirits in that school, and that we should go back and assess the situation, to see if there was anything else that we could do. Again, we all agreed – we would go back tomorrow to that school and see what the Lord would have us do! Thank you for all of your prayers and support. 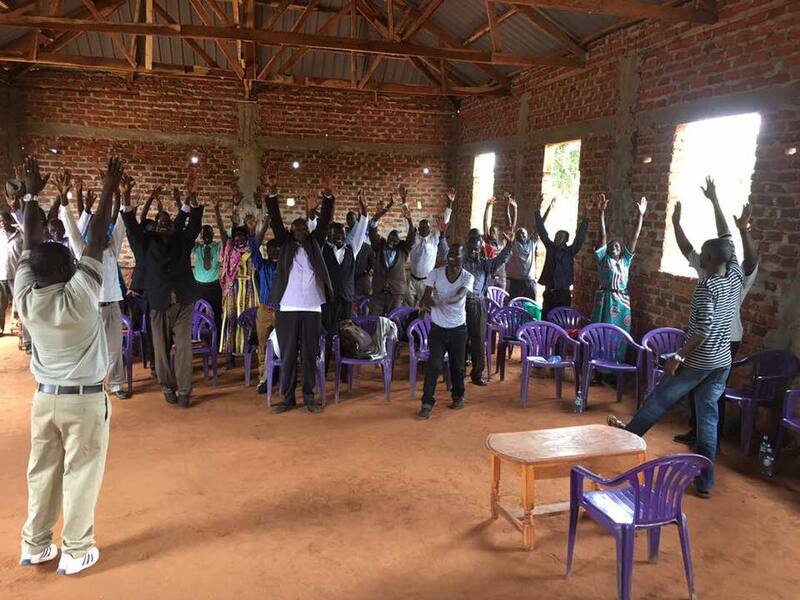 You make Christ Transformation Ministries possible, so that we can minister to the churches in Uganda. Your prayers and financial support enable us to nurture these young churches, and the many new believers that gave their hearts to the Lord this past summer. 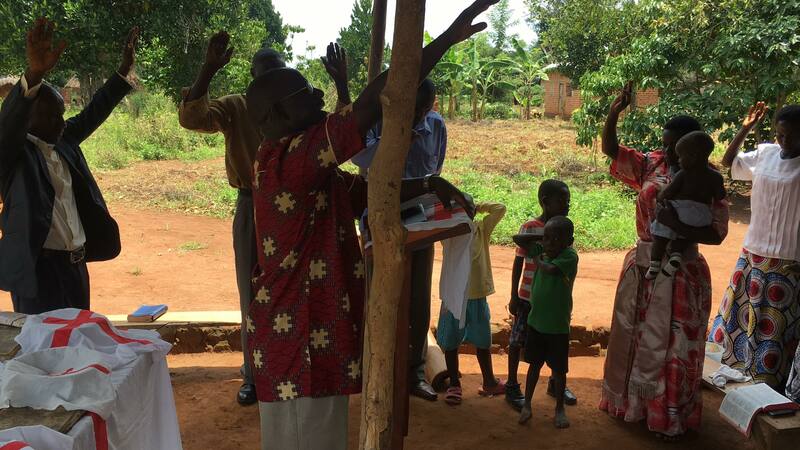 Our goal is to take 1-2 trips per month to the now 103 churches that have been planted in the back country villages of Uganda. God bless you for standing with in in this ministry! I wanted to let you know that I had a long but blessed day today! 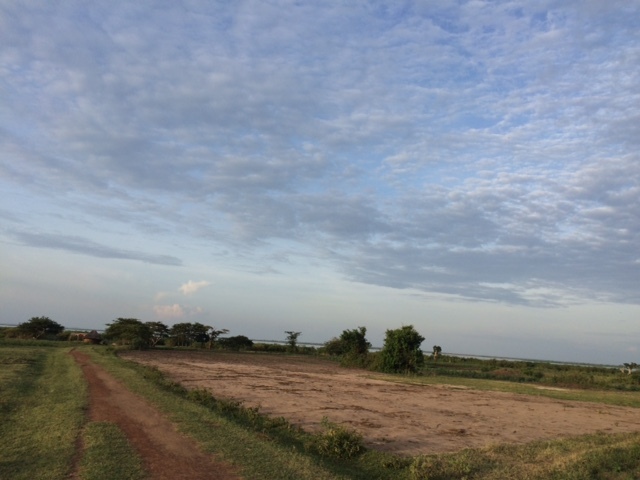 Two more plots of land have been donated for the Nagulu church and the Kisanga church. Praise the Lord! 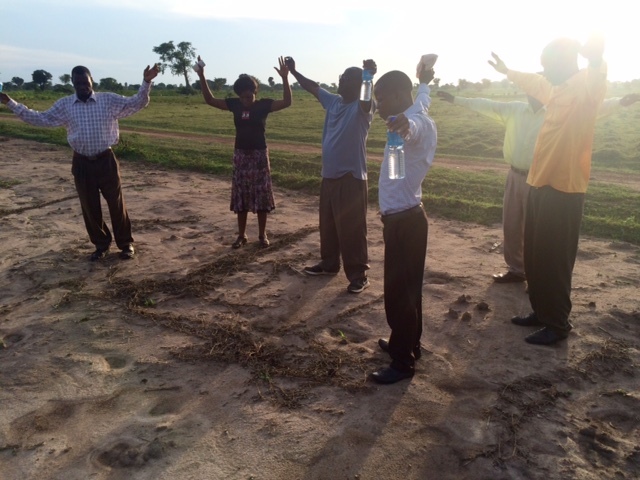 Here you can see us praying for additional land to be donated for a school in Nagulu. We have already received land for a church to be built here, but the need is desperate for land to support a building to school the children. Please keep this need in prayer with us! 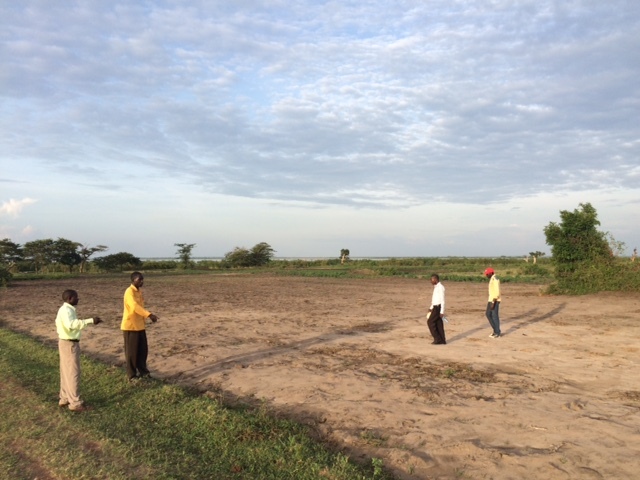 We are very thankful that land has also been donated by a Muslim to the Kisanga church! Isn’t it wonderful how God works in miraculous ways?! While we sometimes think “there is no way”, always remember the words of the Lord Jesus – that if you believe, “all things are possible with God”. The location is about 200 meters from Lake Kyoga, and it is a beautiful piece of land for a church building. Several papers are being processed and I will be required to be there when this occurs, We are now looking forward to what the Lord will do, in terms of enabling us to erect places of worship for the believers in these churches. Please pray for ministry funding for building projects. It will be exciting to see what the Lord does to equip these young churches! 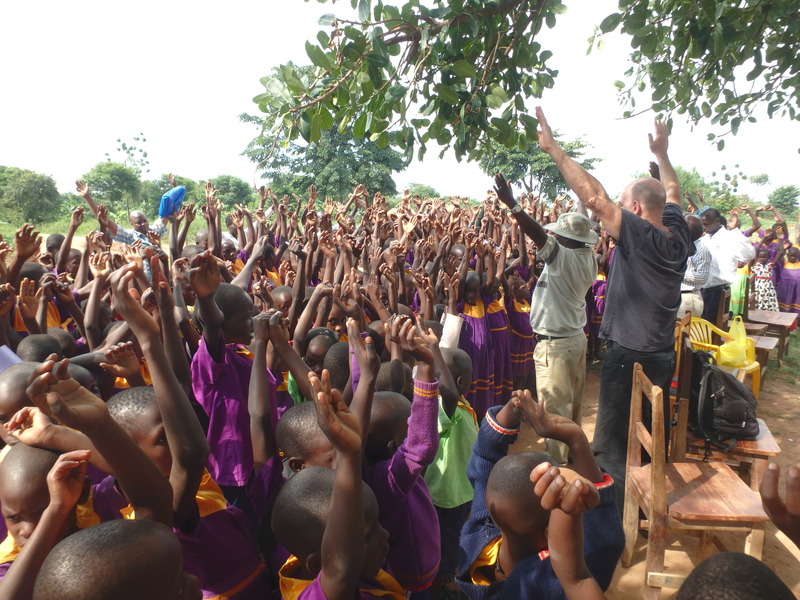 God is truly transforming Uganda!